Whether you’re traveling, staying in, or having loved ones over to your place, Christmas is a time for relaxing and remembering what the spirit of the season is all about. Here, we offer 5 great short story collections fit for a wonderful Christmas holiday–there’s something for everybody! *Prices listed are current as of 12/24/2018. They are subject to change. If you like slice-of-life short stories, you’ll want to check out this little collection of short stories by author Kevin Moore. At 112 pages, it’s the perfect length to read over Christmas! You’ll meet a young boy who reevaluates his perceptions after he’s forced to spend Christmas with his stern grandfather, an attorney who seemingly has everything but really has very little; a burned-out homecoming queen who grows weary of her own excuses for failure; and many other memorable characters. As Moore’s protagonists face adversity and sadness, they learn important lessons, gain hope, and experience powerful transformations. Available for free for a limited time on Amazon! With valuable lessons to be learned in every story, these heartwarming tales echo the traditional Christmas fables we’ve all come to love. These simple stories share the emotional journey of characters whose struggles with doubts, fears and resentments cause them to lose hope, but who ultimately find a great gift through the discovery of the true meaning of Christmas. Readers will recognize their own anxieties and concerns in the reactions of the characters and celebrate with them their triumph as they discover the joy of giving… the true spirit of Christmas. Also available in audiobook format for those who prefer to listen to stories! Available for free on Amazon! At only 46 pages, you can easily read this collection in an evening! 6 little bite-sized stories tell heartwarming, comforting tales of the meaning of Christmas. Tales range from contemporary to almost fantastical or magical. A great read for those who love the magic of the holiday season! This collection is about family and life and Christmas and love that never dies. Protagonists in the other stories range from a teenage girl to an old woman with the theme of family and love and unseen possibilities in the Christmas season. This collection contains six stories of mysticism, hope and charm, a Christmas gift to readers. Christmas Treasures: A Collection of Christmas Short Stories by Patty Wysong, Linda S. Glaz, Christina Rich, Karen Wingate, and more! At 199 pages, this collection is a little heftier, but each story is easily readable in a short amount of time. It can be read quickly or spread out over the long Christmas break–it’s up to you! The book contains stories that echo the yuletide of years past as well as those that tell contemporary tales of Christmas! This is a collection great for people of all ages and walks of life. Heartwarming stories of Christmas that will become favorites to read year after year. Join us for stroll through America, yesterday and today, where hearts are joined at Christmas time. 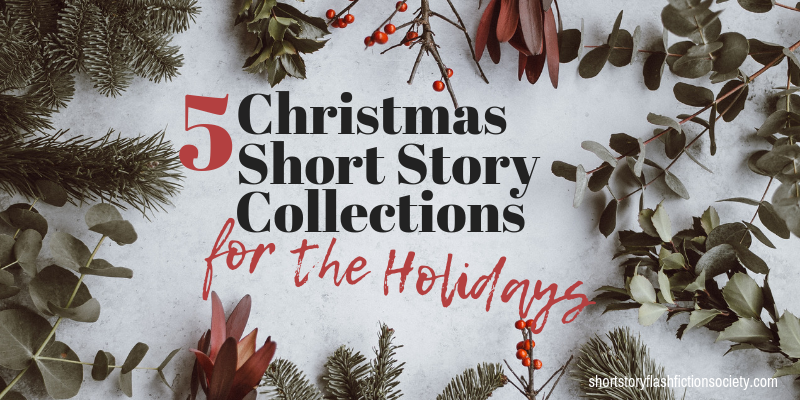 Cozy Christmas Shorts: Holiday Short Story Collection by Gemma Halliday, T. Sue VerSteeg, Leslie Langtry, and more! While heartwarming stories are always great to read at Christmas, some other readers prefer a little holiday-infused mystery. That’s where these stories come in: At 440 pages, this is not necessarily a collection that will be read all in one sitting, but the short stories are perfect to devour in those quiet hours after dinner and family time—or even on the commute if you’re taking the bus, plane, or train!